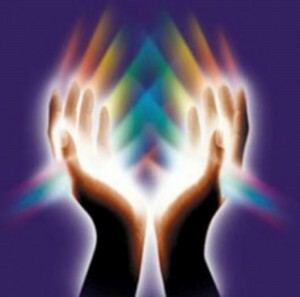 A Reiki healing treatment enables you to access a source of extra energy via the hands of the practitioner. Reiki healing is a hands-on healing technique. The practitioner directs a flow of Reiki healing energy through your body so that your own healing powers are activated and enhanced. Diet and lifestyle both aid in improving health, but your own body has to do the healing. Thus you must channel energy into healing, directing and supporting each cell and molecule in your body towards their best possible function. Where does the energy come from? It comes from the Sun; it’s in the air and water and our food; it is in every molecule in the Universe and in constant exchange with the cells of our body. Another way to explain it is to imagine the body’s energy flow as a river. Occasionally a pebble or rock will fall into that river and make the flow of water a little more difficult. These pebbles are human worries, fears and anger. Each pebble build on top of the other. Soon there is only a trickle of water running in the once free-flowing river. Reiki is probably the most well-known of all the energy healing systems. It was developed by Mikao Usui in Japan in the 1920s as a spiritual practice. The word “Reiki” is variously translated as “Universal Energy” or “Divine Source Energy”. It has also been translated as “True Self”. Practising the system of Reiki leads you to discovering your True Self or your Great Bright Light. There is extraordinary depth and enjoyment in Reiki training and ultimately it is meant as a progression from Level 1 through to Mastership. Okuden = going within and connecting with your potential. Shinpiden = opening up to the Greater Mysteries or realising your True Self. I have studied Reiki Mastership from four different teachers and this has enabled me to gain a wider understanding of the system. “Reiki is so much more than I thought it would be. I have done all the post course practice and I feel stronger in myself. I had thought that I might not understand the course, but you managed to take the time to explain things really well. Lots of information and well presented. Thank you.” Paul M.
Reiki has undergone a number of incarnations in its 90 year history. However, with research, it is still possible to come close to what Reiki was originally meant to be. Many people do not quite understand the “spiritual” nature of Reiki and most courses by-pass the “spiritual practice of Reiki” in preference to the “hands on healing” effect it has. But the true power of Reiki comes from “living it”. By that I mean practising it every day through meditation, chanting, focussing on symbols, giving self-Reiki treatments … and so very much more. Used in this way, Reiki gives you great discipline and focus. You will feel much more centred and balanced and you will find that you become much more intuitive. People who normally have trouble stilling their mind for meditation, will find it much easier to do so once they have learned Reiki. This leads to a richer Reiki experience and enables you to channel this energy in a clearer way. A 21 day e-course is included as a follow-on practice for both Level 1 and Level 2 Reiki courses. And of course I will always be available for your questions. “Thank you all for a beautiful sharing…. Asharni is such a wonderful facilitator. Excellent work and lots of insights needed for our journey ahead. So honoured and privileged to have been part.” Nicholas. Reiki Share Nights are Conducted Each Month Cost $10 It is a great opportunity to practice, speak to like-minded people and of course to give and receive healings. Reiki share nights are held in Torquay.